There’s no denying that Bendigo is a city of reinvention and innovation. Renowned for its creative fusion of heritage and modernity, this Victorian city is brimming with paddock-to-plate eateries and rich red shiraz, live-music tram tours, international exhibitions, and boutique hotels to explore during a weekend away or an extended stay. This vibrant regional city is a celebration of grand architecture, arts, culture, food and wine along with the great outdoors. 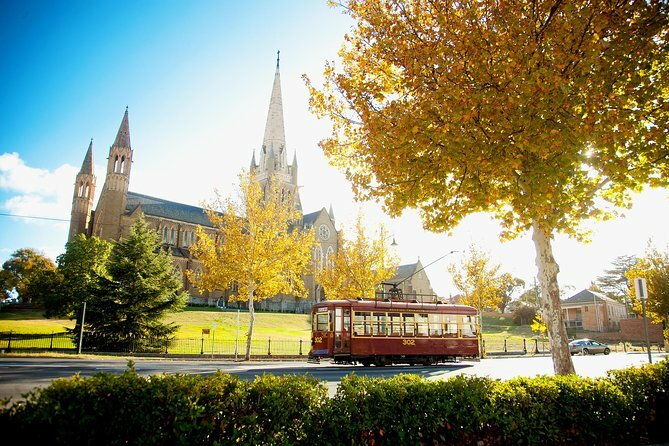 The centre of Bendigo is lined with grand gold rush buildings, parklands and laneways, which make it the perfect place to enjoy a stroll during the day or find a bed for the night. If you love a good drop of wine, then Heathcote is a must. This charming regional town is around half an hour’s drive from Bendigo’s CBD. Although it is known worldwide for its Shiraz with plenty of great cellar doors to visit, Heathcote also offers heritage buildings in the main street, boutique accommodation, quaint cafes and nearby breweries. Plus, the town is surrounded by forest, walking and cycling trails, lookouts and the stunning Pink Cliffs. For a rustic rural escape, venture to the historic towns of the Goldfields where you can stay in restored traditional miners cabins. The fascinating villages of the Goldfields are known for more than just their history which makes the region great to explore during your stay. From the artisans and food culture in Castlemaine, apple growing and cider in Harcourt, farm gates, vintage fashion and natural wonders in the Loddon Valley to the historic townships of Maldon, Dunolly, Talbot and Maryborough, there’s a lot to explore. 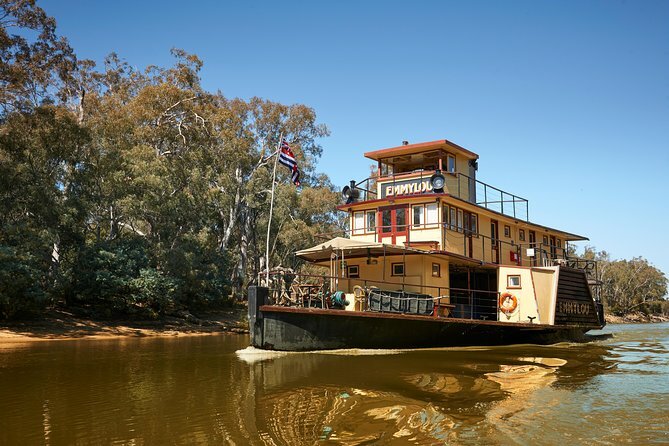 Also nearby is Echuca Moama, a charming riverboat port known as the ‘paddle-steamer capital of Australia’. No matter which town you decide to claim a stake in, each one combines a sense of country warmth with unique and historical stays. Whether you’re visiting for the town’s rich history or its world-class arts scene, you’ll strike gold with a variety of activities and experiences on offer in and around Bendigo. Start your day in Chancery Lane with its eclectic mix of cafes, restaurants and boutiques that’ll have you questioning if you just stumbled into a hipster Melbourne side street. Once you’re full and fueled for the day, you’ll be ready to discover a world-class arts scene where the city itself is a living gallery - passionately and personally shared by its creators, curators, and community. Visit Bendigo Art Gallery in the View Street Arts Precinct, which is one of Australia's most visited and highly regarded regional galleries or stroll along Bendigo’s artist walk to see and meet artisans, designers, street art and craftspeople. Creativity isn’t just limited to galleries or the streets in Bendigo. Experience the city’s performing arts scene at the 1,000-seat Ulumbarra theatre developed out of the old Sandhurst Gaol. If you’re into the idea of making art of your own, visit Australia’s oldest running pottery (est 1857) to try your hand at a wheel throwing class. Tudors to Windsors: British Royal Portraits (16 March – 14 July 2019). This Australian exclusive at Bendigo Art Gallery presents some of the most significant royal portraits from the National Portrait Gallery, London. Bendigo Tafe Bendigo Easter Festival (19 – 22 April 2019). Enjoy Australia's oldest running community festival (149 years) which features the World's longest imperial Chinese dragon. The festival has Easter Egg hunts, day and night parades, art and craft markets, amusements and more. ILLUMIN8 (May 17-18 2019). A family friendly event celebrating peace and harmony through different light installations, multicultural performances, food and market stalls show on The Great Stupa. Planning a trip to Bendigo? Here are the best places to eat, stay, drink in the small Victorian town including delicious restaurants and happening bars. Once you’ve worked up an appetite, take your starving, artistic self and go Food Fossicking to discover the regions large concentration of food, wine, cider, craft beer and coffee in its award-winning restaurants. A food walking tour runs each Saturday to highlight the regions produce. For those that prefer Shiraz over strolling, station yourself in the heart of red country and meet with winemakers from the Bendigo and Heathcote Wine Regions, which boast collectively over 60 boutique cellar doors. Discover Bendigo’s gold rush history with underground tours at Central Deborah Gold Mine, then explore Bendigo’s heritage by Vintage ‘Talking’ Tram, and visit the Golden Dragon Museum’s world-class Chinese collection. You can also pay a visit to the largest Buddhist temple in the Western World - The Great Stupa of Universal Compassion. 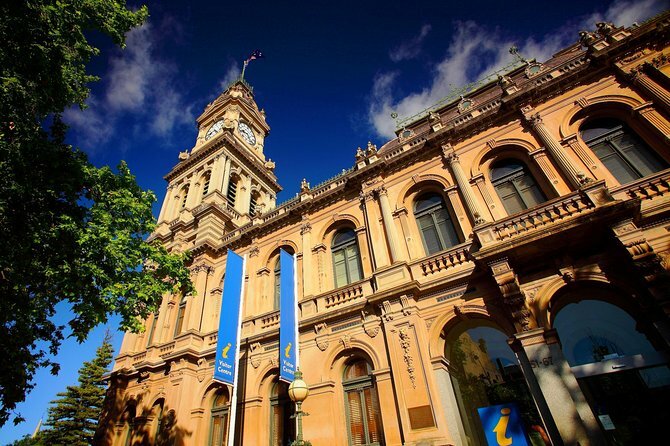 Bendigo is perfectly placed for you to explore the historic towns of the Goldfields, visit beautiful heritage buildings, enjoy a romantic weekend amongst the rural landscape and parklands or indulge your cultural side.